In 2018, China celebrated the 40th anniversary of reform and opening-up. Hangzhou animation industry also yielded fruitful results over the past year. The 14th China International Cartoon & Animation Festival (CICAF) was successfully held in Hangzhou. From April 26 to May 1, 2,641 Chinese and foreign enterprises and institutions and more than 5,760 exhibitors and professional spectators from 85 countries and regions participated in the event. A total of 1.4335 million people took part in various activities. About 111,000 people visited the main venue of the exhibition in a single day, a new record high. The cumulative transactions and consumption amounted to 16.321 billion yuan, a record high in terms of output value, benefit and internationalization level. CICAF has become the real "gold name card" of Hangzhou culture. In the first three quarters of 2018, Hangzhou, with nine quality animation works, continued to lead Chinese cities in the number of excellent aired animated films recommended by the State Administration of Radio, Film and Television. The nine works were The Legend of Qin V, Oolong Courtyard: Save the Elf, Growing Pains of A. U, The Return of Eye, Luo Bao Bei, Seven Killings, Rainbow Chicks Season V, A. U’s Lab, and Pocket Forest Season I. In the same period, Hangzhou animation and game companies produced 1,527 episodes of animation series totaling 12,298 minutes, 6 animated films, and 173 comic books totaling 5.734 million copies, worth over 18 billion yuan in output values, which were much higher than those of 2017. At the 14th CICAF, the CICAF Festival and Exhibition Office and Taobao (China) Software Co. Ltd. signed a strategic cooperation agreement, vowing to work together to connect the online and offline industrial chains, and foster Asia's largest 2D derivatives consumer market. From September 13 to 16, the 2018 Taobao Maker Festival, jointly launched by the two parties, took place by the West Lake, featuring 2D themed bazaars, to create a festival exhibition that will never come to an end. On December 20, at the first China (Hangzhou) IP Authorization Conference, the Chinese animation IP cooperation platform created by the two sides was officially launched online, to provide a series of integrated online and offline marketing services for high quality IPs at home and abroad, covering copyright management, content marketing, commodity authorization and foreground scene matching. The 2018 MIPCOM marked the 10th year for which Hangzhou animation and game companies participated in the event as group exhibitors. Hangzhou companies, including Zoland, Sparkly Key Animation Studio, Versatile Media and Steam Works, had successively opened up the international market. They had showcased themselves in more internationally renowned exhibitions, such as Festival International du Film d'Animation d'Annecy, Games Com, Electronic Entertainment Expo, and Festival international de la bande dessinée d'Angoulême. In recent years, Hangzhou excellent animation works and animation companies have time and again won domestic and foreign awards. More companies have taken the initiative to participate in internationally famous exhibitions and actively expand overseas cooperation. Hangzhou Zubao Animation （Nie Jun team）, Rainbow Chicks, and China Academy of Art won the triennial government awards for animation from the Ministry of Culture. Have a Nice Day, a Hangzhou animation production and the winner of Golden Horse Award for Best Animated Feature Film, was shortlisted for main competitions in the three major international film festivals in Cannes, Berlin, and Venice, a historic event in the history of Chinese animated films. Director Liu Jian was elected into the jury of the Academy Awards. The Eaglet Project was officially launched in July 2018 for Hangzhou animation and game companies. Through field researches and visits, it sorted out a number of emerging small and medium-sized enterprises and key projects with market prospects and potentials, offered five-star support, guide, incubation and cultivation services to the door, letting Hangzhou animation and game companies which face talent and fund pressures to see a broader prospect. The government, enterprises, colleges and universities, and animation association are well linked to share resources and exchange information for win-win cooperation, gradually forming the Hangzhou animation system, similar to the "Ali system" and "Zhejiang University system". Hangzhou is stepping up preparations for the first national animation museum in the country to collect precious animation works at home and abroad. Here visitors may see original works and historical materials of animation masters from China, Europe, the United States and Japan. Upon completion, it will have the functions of exhibition, experience and interaction, educational practice, academic collection, and cultural tourism. It will give a comprehensive display of the history, technology, culture and industry of animation. It will be built into an internationally first-class, domestically first modern animation museum with rich exhibition items, unique experience, great popularity and benefits. For the first time, the 14th CICAF moved the countdown activity to Xiajiang Village, Chun'an County. It showed that animation life was no longer a privilege of urban residents, but also bloomed in the beautiful countryside. 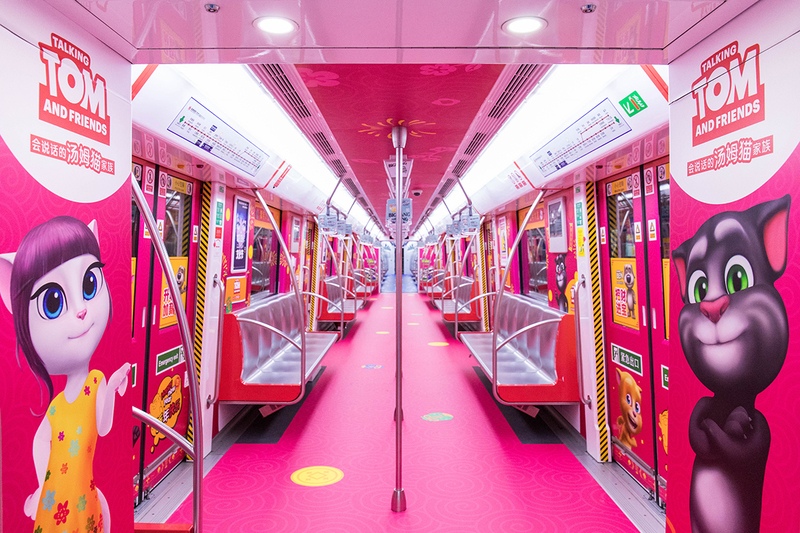 The Jiangling Road Station of Metro Line 1 was converted into the first animation subway station in the country. For the first time, an animation bus line was launched by the West Lake. It also worked with Tencent Animation to create the country's first animation theme check-in island in the Hangzhou Xiaoshan International Airport. It also signed a strategic cooperation agreement with Yintai to build an animation-themed shopping mall. In addition, such events as the COSPLAY Culture Festival, West Lake Comic Postcard Contest, I am the Animation King Contest, and Youth Comics Contest were held throughout the year. The E-sports Summit and other new activities were also on speed-up cultivation. The concept of “Animation, My City, and Animation, My Life”, has permeated the characteristic culture of Hangzhou city. From June 6 to 7, the second MIP China (Hangzhou) International Film and Television Content Summit Forum (MIP CHINA) was held by the West Lake. It was attended by 506 Chinese and foreign representatives from 145 film and television production organizations. Thirty-nine international businesses from 18 countries and regions and 52 domestic film and TV animation enterprises held 796 one-to-one precision talks, reaching 150 cooperation intentions on the spot, with the intended amount exceeding $12 million. By cooperating with the world-class exhibitions and inviting the most outstanding film and television organizations of the world to our door, Hangzhou has facilitated the local film and TV animations to "go global". 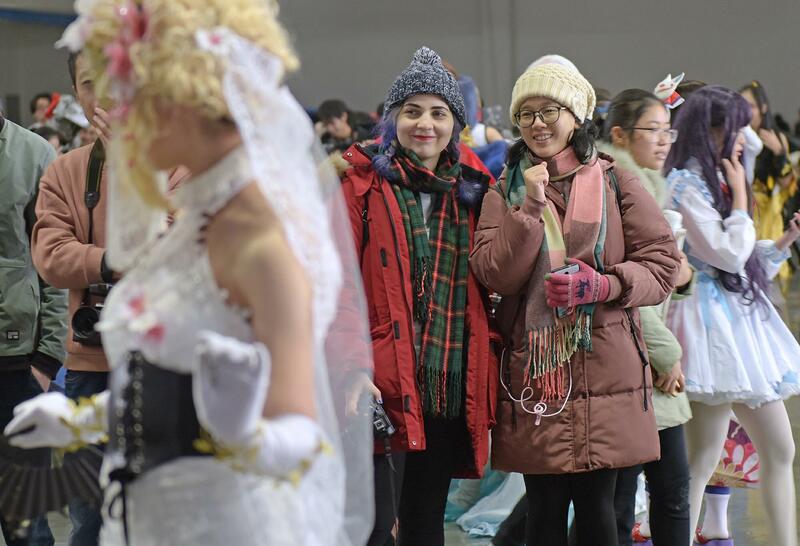 From December 31, 2018 to January 1, 2019, the China (Hangzhou) COSPLAY Cultural Festival was successfully held at Hangzhou Binjiang White Horse Lake Exhibition Center. 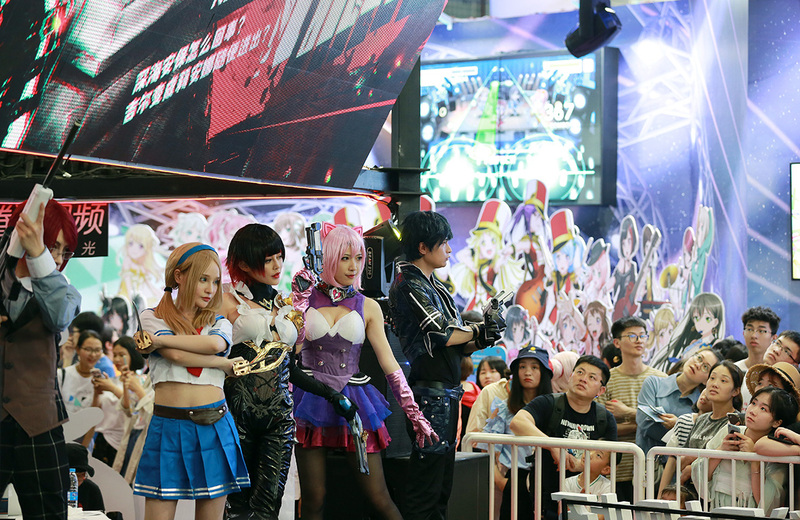 A big party for 2D crowds, the festival attracted animation and game companies from Hangzhou, including Electronic Soul, Sparkly Key Animation Studio, and NetEase, as well as exhibitors and tens of thousands of COSER in rich dresses from all over the country. It became the most fashionable mode of countdown on New Year’s Eve in the capital of animation in Hangzhou. Hangzhou Animation Game Association established the Hangzhou West Lake Animation Game Public Welfare Alliance, initiated to launch the "Love Monthly Calendar" campaign, and worked with responsible animation and game companies of Hangzhou to continuously send lively, joyous animations to various special groups through the monthly charity activities. In Hangzhou, the capital of animation, cartoons and animation have become important carriers of public welfare, sending forth care and love.